Shares in Canada's largest diversified miner Teck Resources (TSX:TECK.A | TECK.B)(NYSE:TCK) were down almost 4.9% in New York premarket after reporting weaker than expected earnings for the three months to December and a 10% drop in revenue. The Vancouver, British Columbia-based company logged a profit of Cdn$700 million or Cdn$1.21 per share for the forth quarter of the year, compared to Cdn$930 million (Cdn$1.61 per share) in the same period of 2016. While not for much, Teck did miss analysts’ expectations of $1.20 a share, according to Thomson Reuters. As a result, the stock was down 4.86% in the New York Stock Exchange during premarket trade to $1.44. 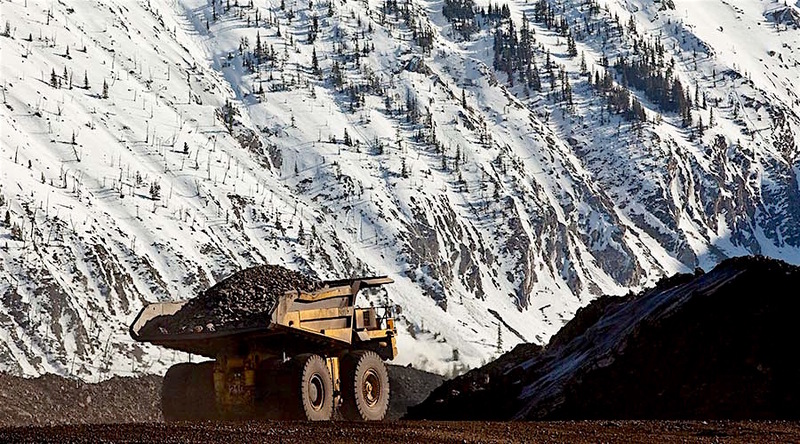 Teck, North America's No.1 producer of steelmaking coal, attributed the decline in adjusted profit to lower prices and sales volumes in its coke coal business compared with a year ago. From a profit attributable to shareholders point of view, however, the miner logged $760 million for the three months ended Dec. 31, or $1.32 per share. That compares to a profit of $697 million or $1.21 per share a year earlier. Teck, which is also North America's No.1 producer of steelmaking coal, reported a drop in revenue of 10.9% to $3.21 billion. It said the decline in its adjusted profit was due primarily to lower prices and sales volumes in its steelmaking coal business compared with a year ago. The firm, which also mines copper, zinc and gold, sold 6.4 million tonnes of steelmaking coal, at an average realized price of $170 per tonne, in the fourth quarter, in line with its December forecast for 6.5 million tonnes of output at an average price of $165 to $170 per tonne. For its full year, the diversified miner said it earned $2.51-billion or $4.34 per share on $12-billion in revenue. That compared with a profit of $1.04-billion or $1.80 per share on $9.3-billion in revenue in 2016. The company highlighted its incursion in the oil sands market, Fort Hills, produced its first oil and the end of January and remains on track to reach 90% of capacity this year. The project, located 90 km north of Fort McMurray, is majority owned by Suncor Energy (TSX:SU), but Teck has a 26.05% stake on it and Total owns 20.89% of it. It also noted that a decision on whether or not to go ahead with an expansion of its Quebrada Blanca copper mine, in northern Chile, will depend on regulatory approvals and market conditions and is not expected before the second half of 2018. If management decides to move forward with the so called “Phase 2”, the development of the hypogene ore body would come at a hefty price tag of some $4.7 billion for major infrastructure investments including a new concentrator and desalination plant and pipeline. But the mine is nearing the end of its life and the expansion will keep it producing for at least another 25 years. Teck shares rebounded once markets opened and were trading 1.48% higher to $30.08 in New York, and up about 1% in Toronto to Cdn $37.70 at 10:05AM local time.